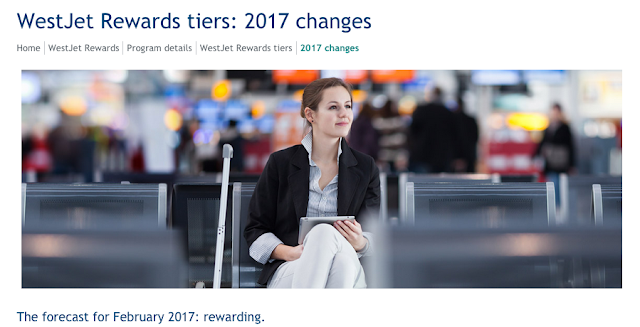 WestJet Rewards revealed their 2017 changes to the program which will see the program become more rewarding for those who travel frequently (or earned status via their status matches) while becoming less rewarding for those who tend to travel not as much. 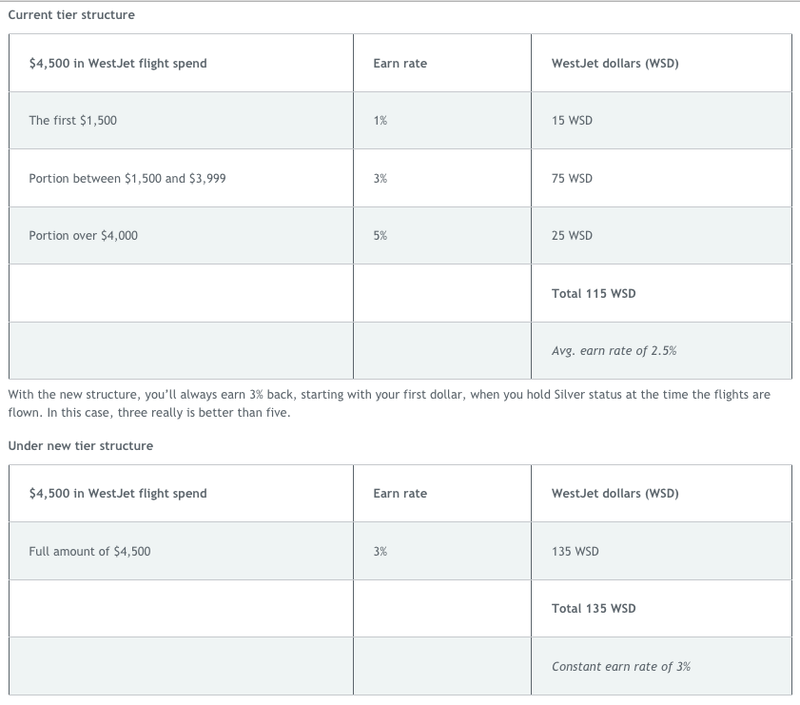 There are tweaks to earning elite status, Silver, which now becomes easier to earn and earning WestJet dollars changes in terms of how they are awarded on spend and the rate at which they are earned for Teal and Silver members. Members who enrol any time after changes come into effect on February 6, 2017 will be immediately subject to the earn rates. Of course if you join the program now you'll at least benefit from the 3% earn rate on 1,500 to 2,999 spend for one more year. So join now! As a current Gold Elite member I am looking forward to keeping my earn rate at 5% for the next year and bit. How about you? What do you think of the changes?